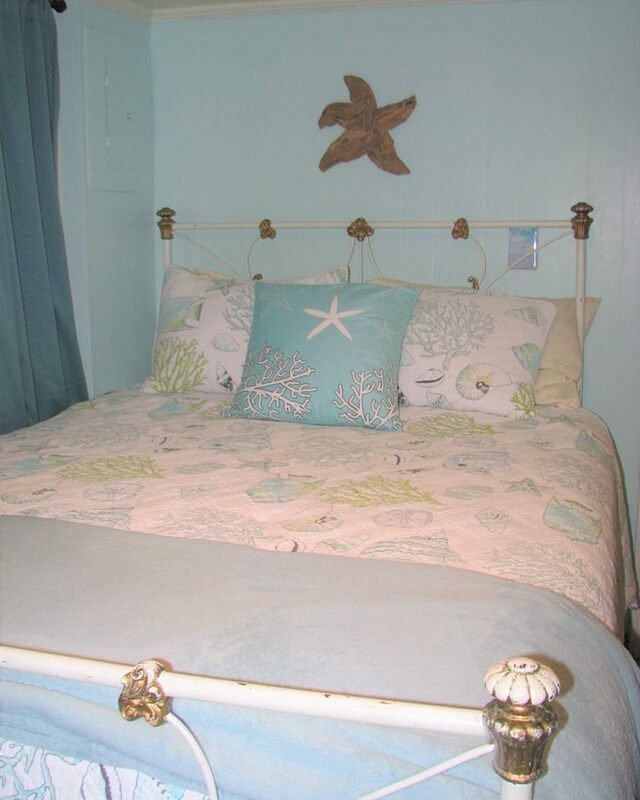 Eclectic beach themed decor welcomes guests to the Hollyhock Cottage. 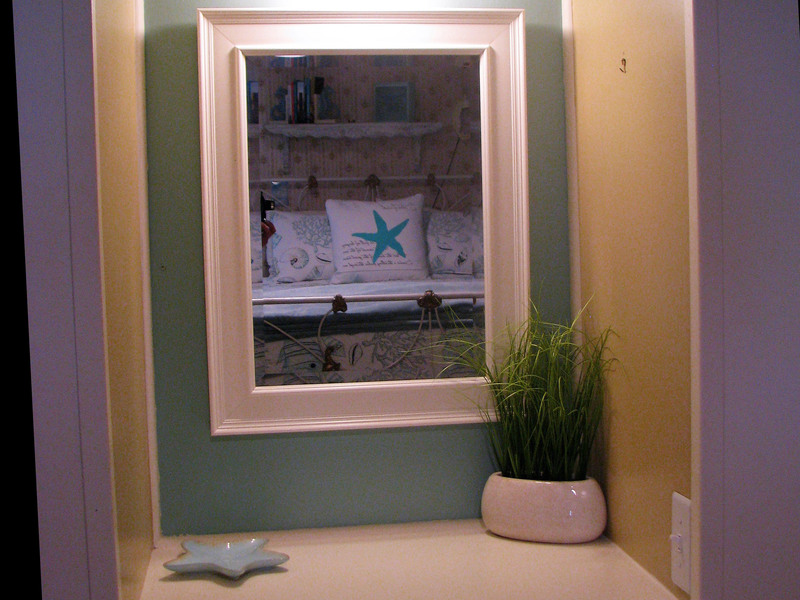 The Hollyhock Cottage is our ground floor cottage. 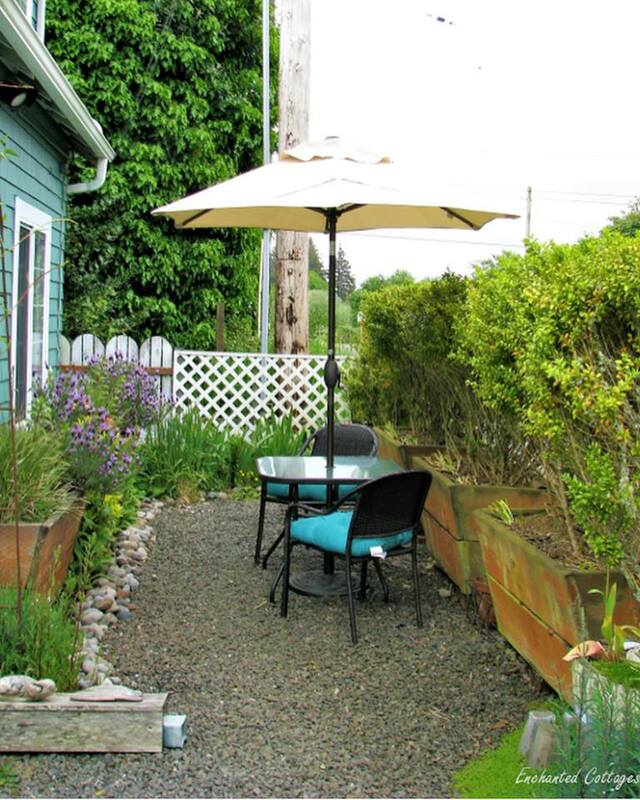 The Hollyhock ground-floor cottage is perfectly suited for 2 adults and 1 to 2 children. Guests beyond recommended 4 max are subject to $20.00 per person/per night fee. 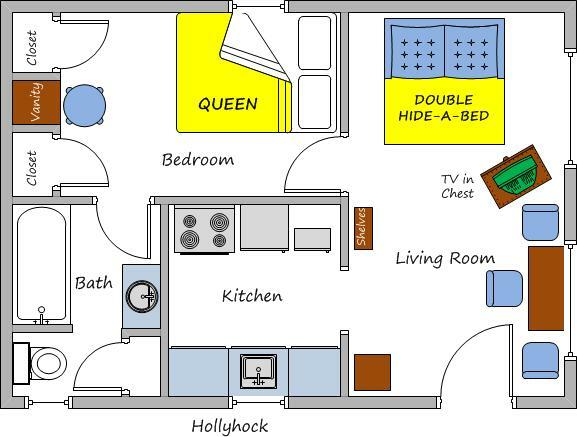 The Hollyhock has a separate bedroom with antique queen bed and a heavenly mattress. Bedding provided. Step stool under bed if needed. 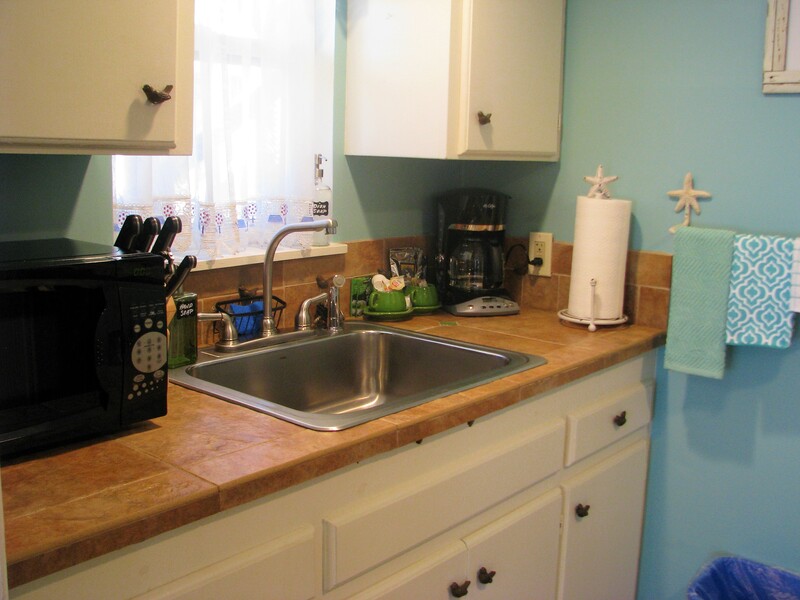 Fully appointed kitchen includes full-size stove, refrigerator/freezer, microwave, coffee maker, toaster, glasses, coffee cups, dishes, silverware and cookware. 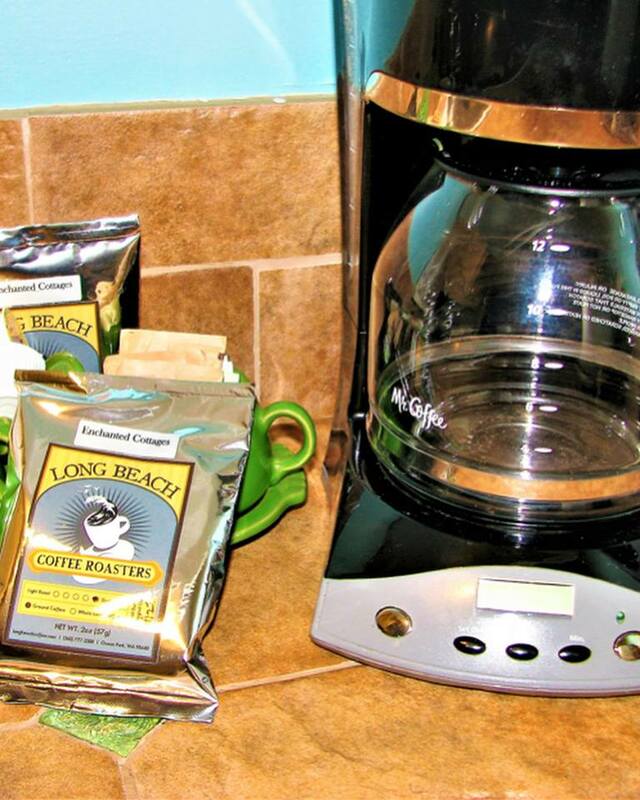 Your morning coffee is from our local Long Beach Coffee Roasters and is a special Enchanted Cottages blend! You’ll also enjoy green teas, cookies and candies. 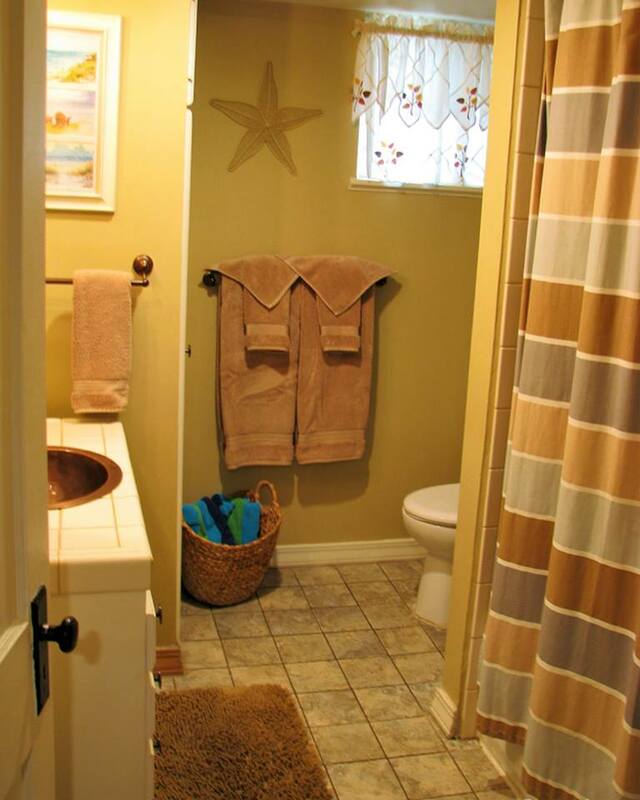 Full tiled bath with tub and shower features an antique copper sink, hairdryer, shampoo, conditioner, body wash and other amenities. 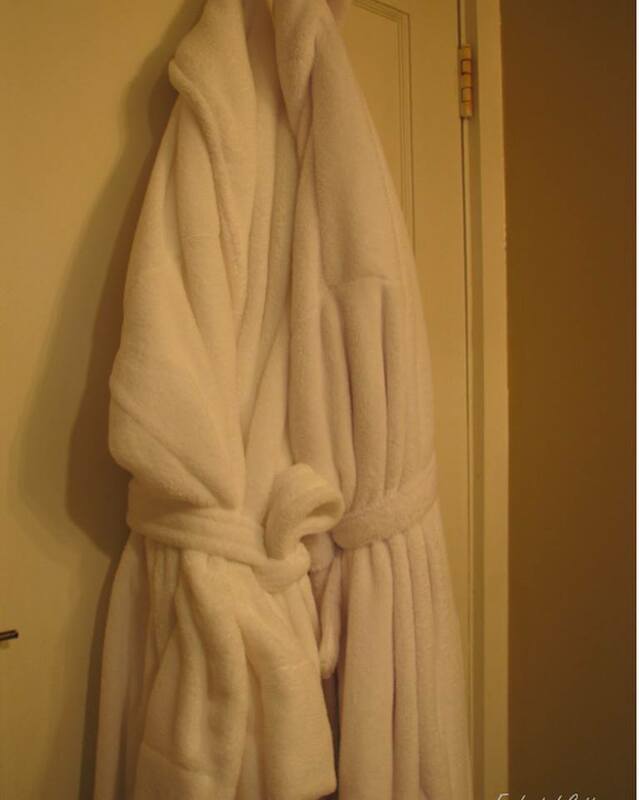 Two soft, warm bathrobes, for your use while staying in the Hollyhock also included! FREE high-speed internet. FREE Netflix and basic cable. The cottage also has books, games, and a Blueray/DVD player. 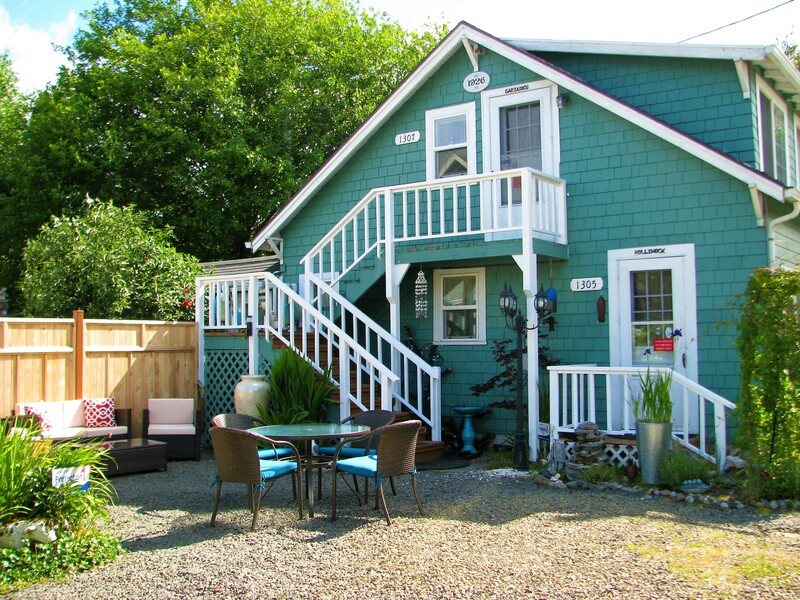 The 1926 updated cottage has ceiling heights of 6’8″. In the living room it has a 7″-wide ceiling beam with 6’3″ clearance. Comfortable full-sized hideaway sofa bed in the living room will accommodate one adult or two small children. 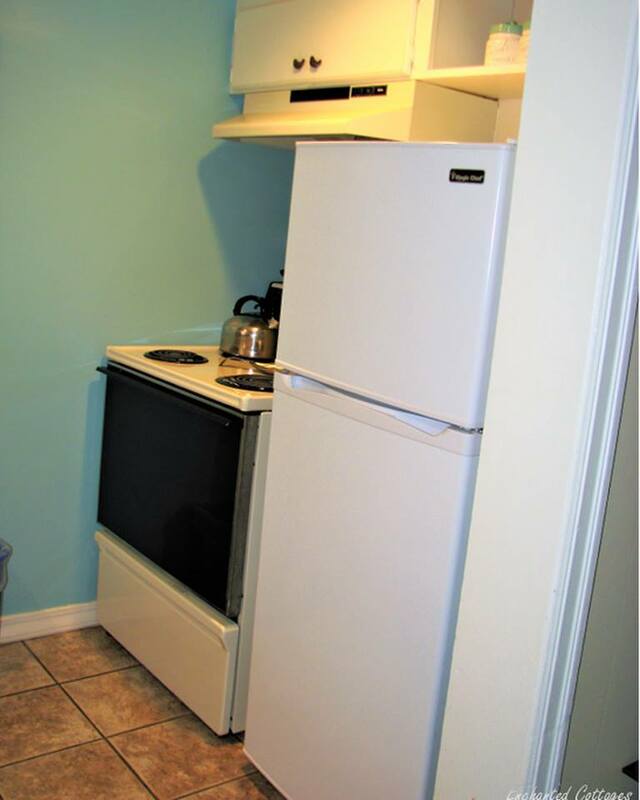 We’re sorry but the kitchen is not for heavy cooking, e.g., broiling of steaks, frying bacon, etc. Cooking fish, crab or clams is also not permitted. 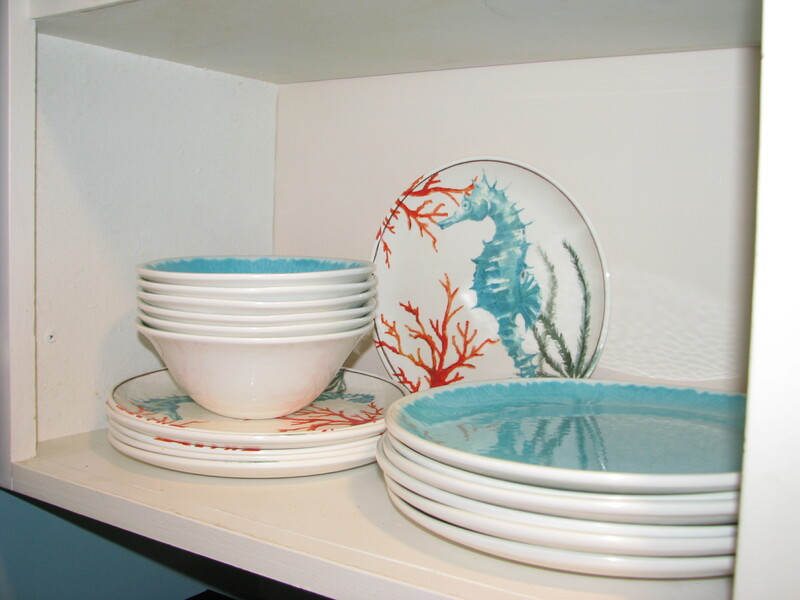 In our Hollyhock Cottage you’ll have access to a dining table with seating up to 4. Bamboo floors and rugs throughout. 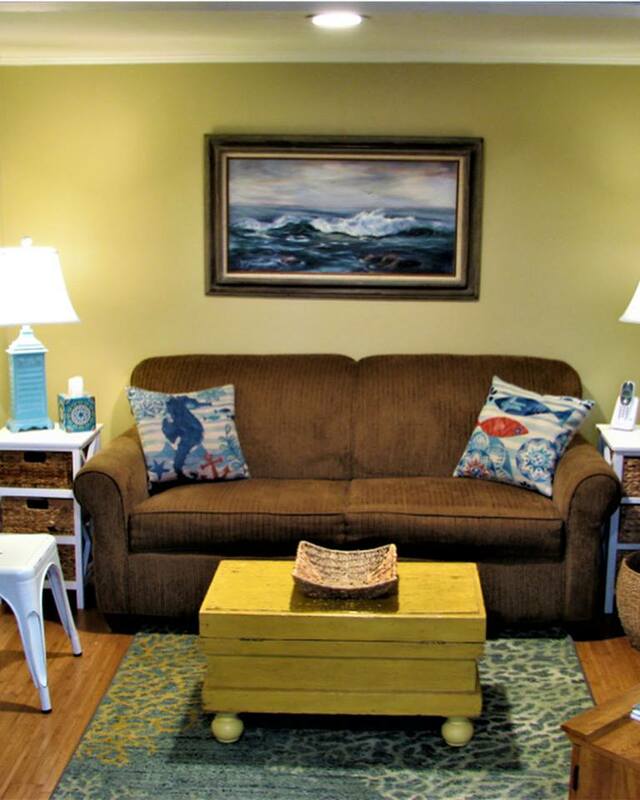 Book this cottage today and reserve your spot.